Deserts are pretty amazing. What may seem to be a completely dead and desolate expanse of land can in reality be teeming with life just beneath the surface. If any one word can sum up life in the desert, it’s hope. That’s what an oasis brings to those thirsty lost wanderers. 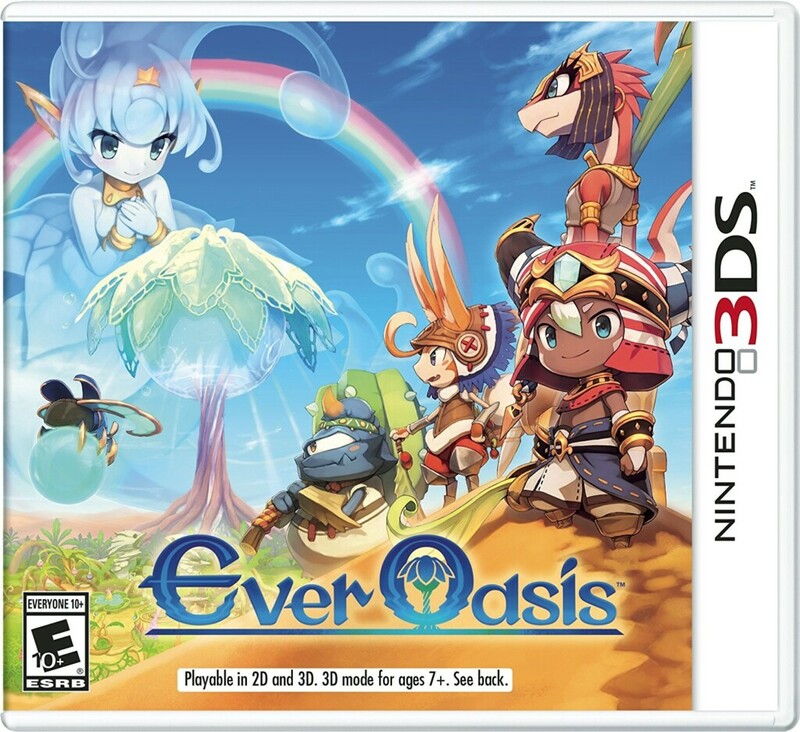 Apparently Nintendo also sees the beauty in deserts, since they set their latest game, Ever Oasis, smack dab in the middle of sand country. The Nintendo 3DS game lets you control the last lone oasis in the desert, with an ominous force known as Chaos threatening to destroy it all. Your job is to explore the desert, solve all sorts of puzzles and gather enough resources to build up your oasis with the help of the last water spirit Esna. My 14-year-old son Jason is currently playing Ever Oasis and really enjoying it. (Look for his review right here on Mommy’s Busy, Go Ask Daddy real soon!). But in the meantime, my magical friends over at Nintendo have given me a new copy of the game to offer up to one of my lucky readers! Giveaway ends on August 14, 2017 at 11:59 p.m. ET. The 1 winner will be chosen at random and announced on this site. Giveaway is open only to legal residents of the United States (including District of Columbia), who are at least eighteen (18) years old at the time of entry. The 1 Winner will be notified by email and have 48 hours to respond or a new winner will be chosen. My son would LOVE this game. He’s on his 3DS as much as we allow! 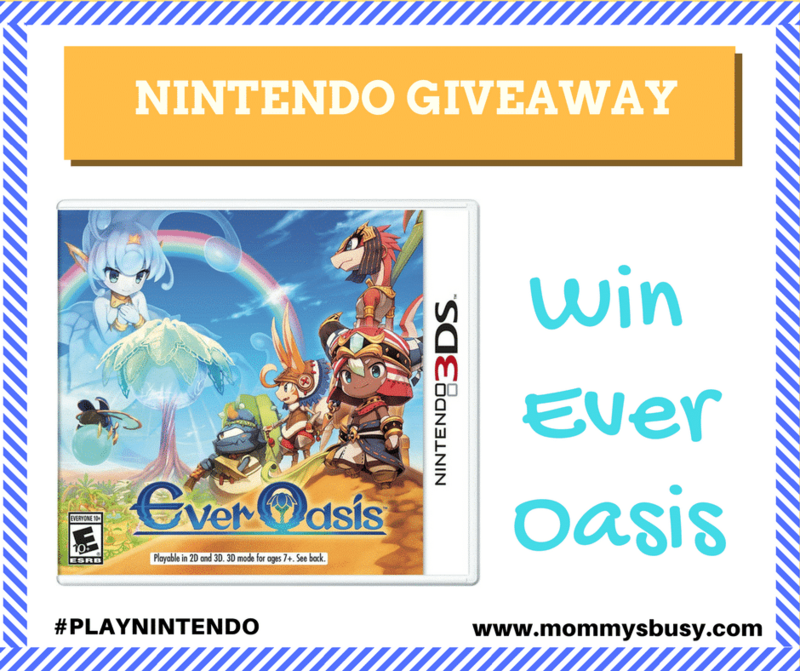 I enter your giveaway hope I win looks like a fun game. I love learning about new products that you review and seeing if I would use it. I love learning about it before I buy.